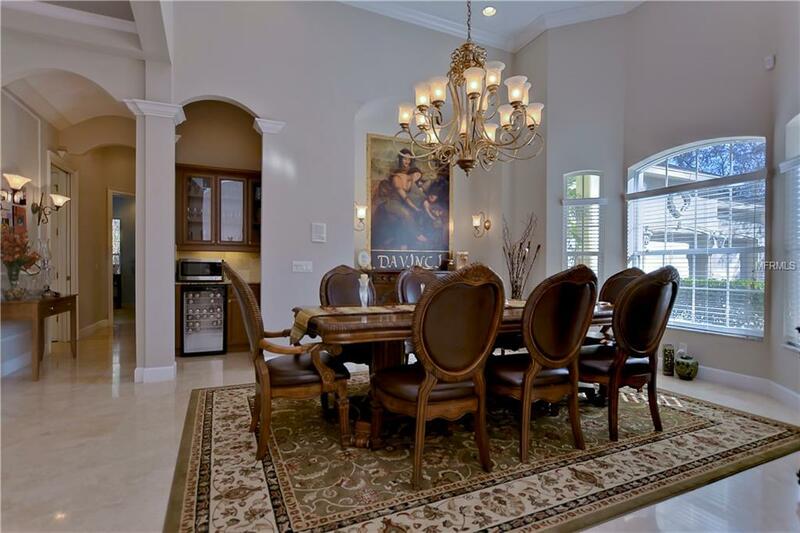 Welcome to a truly magnificent custom home in the exclusive guard gated community of Fish Hawk Trails! Sitting on a acre lot on a small cul-de-sac street, this would make the perfect family home! The homeowners have lovingly cared for the home including new paint throughout the living areas! The pavered driveway and side-entry garage sets the tone for this stunning home that greets you with grand double doors! Features include spectacular pool views, crown molding, tray ceilings w/crown, exquisite travertine tile & wide baseboards! Living room boasts wood burning fireplace w/stone mantle, art niches & French doors to lanai & pool. Youll love working from home in oversized office through French doors w/bay windows & closet! Gourmet kitchen will impress w/beautiful granite counters, center island w/vegetable sink, designer wood cabinetry, under cabinet lighting, walk-in pantry & adjoining breakfast nook open to lanai! Family room features built-in shelving, transom windows, coffered ceiling & French doors to lanai! TREMENDOUS bonus room includes bay windows, built-in shelving & cabinetry w/4th bedroom & bath for IDEAL IN-LAW SUITE! 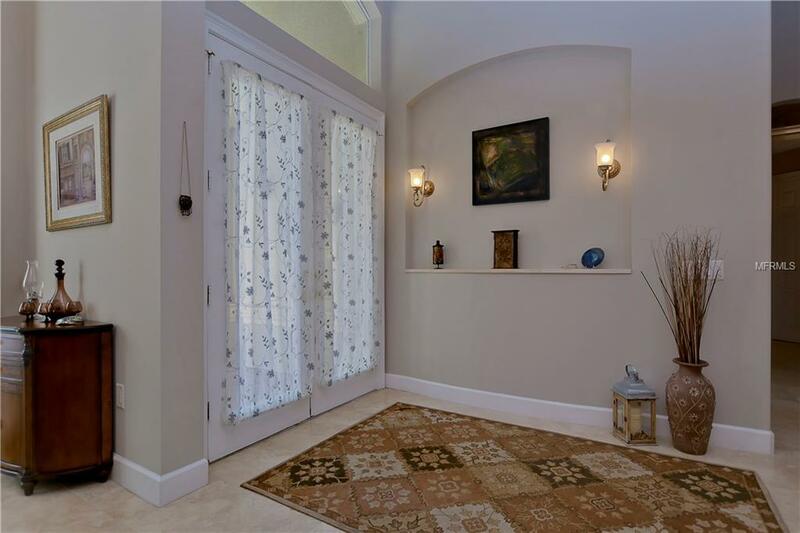 Gorgeous, master suite w/huge sitting area w/bay window & French doors to lanai. IMPRESSIVE master bath includes separate vanities, garden tub & large shower for his & hers showering surrounded by imported marble. Secondary bedrooms share fabulous large desk/cabinetry area for studying! 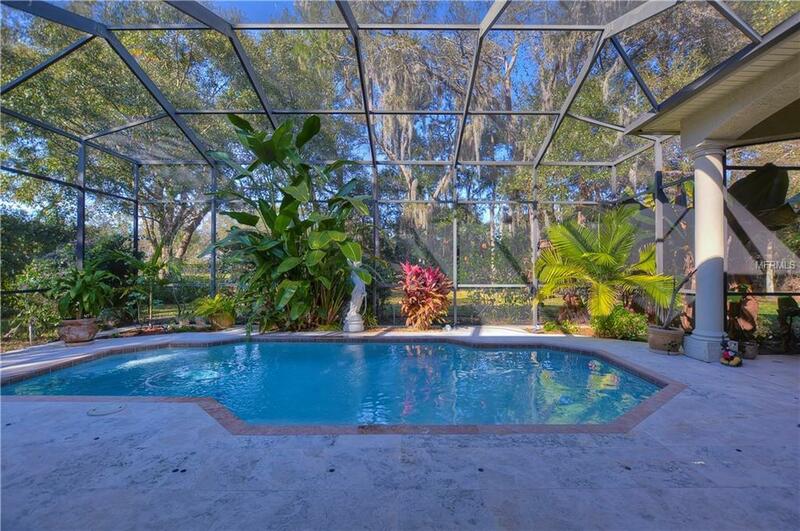 Travertine pavered lanai with pool & kitchen! NEW A/Cs in October 2016! Pet Restrictions Domestic Only. Confirm With Hoa.